The Wendy’s High School Heisman Program honors high school seniors with a leadership award for well-rounded young men and woman. Students who apply are judged based on their academic achievements, athletic accomplishments, community-leadership, and involvement in various extracurricular activities during grades 9 through 11. Scholarship Management Services, the nation’s largest designer and manager of education recognition programs evaluates applicants and determines School Winners. 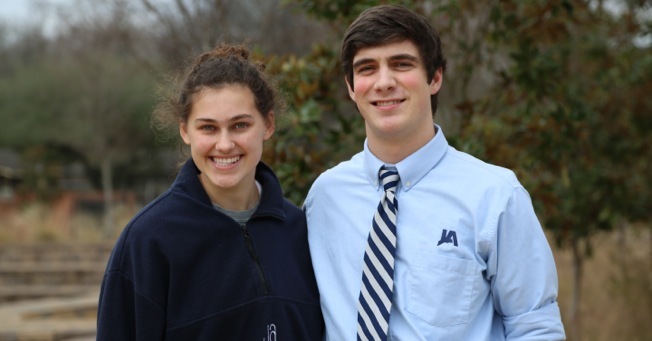 Hannah Jane LeDuff and Zach DePriest were chosen as JA School Winners in the 2015 competition.